Was born in 1967. After obtaining a degree in architecture, is working mainly as a designer and as an industrial consultant. Since 1945 he is also involved in re-structuring of both private and public buildings. He has given lectures in Industrial Packaging and has collaborated with the faculty of Architecture. 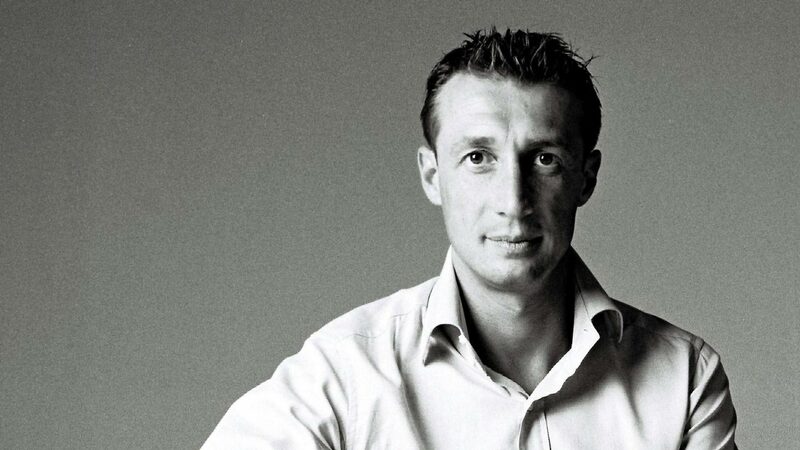 He has worked for Cappellini, Ycami, Poliform, Varenna, Units, Moroso, Obumex, Antonio Lupi, Nemo and Oluce. He has participated in numerous design shows. In 1993 in Paris with ”Design: Mirroir du Siècle” in 1995, he shows the bed Archimede for Cappellini in ”Im neuen Museum Weserburg” Bremen and in 1996 he shows the ”Carpet Zigozago” designed for Cappellini in the museum of Applied arts in Colonia.